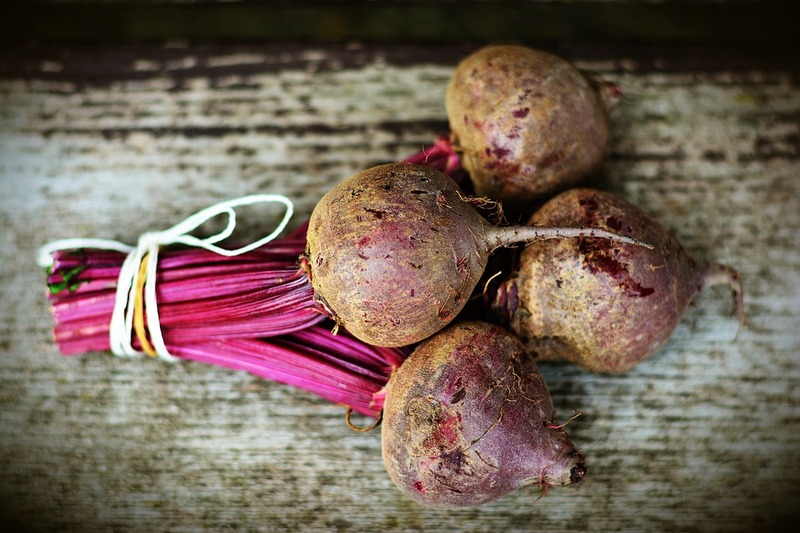 The good old beetroot, packs more than its crunchy earthy taste and striking deep red color. Loved or loathed, this vegetable has immense health benefits and is said to have been cultivated for its culinary, medicinal and cosmetic use. Ancient Romans believed that beets contained aphrodisiac properties and somewhere around 1740s a known Berlin chemist discovered a method to extract sucrose from beetroot. B vitamin folate, which helps reduce the risk of birth defects. Beta cyanine, a very good antioxidant which reduces LDL, also known as bad cholesterol. Boil the beetroot in the pressure cooker (1-2 whistle max). Cool, peel and slice. Add mustard seeds. Once they begin to crackle a bit, add chopped onions, chopped green chilies and some curry leaves and give it a good stir. When the onions begin to turn pink, add in some chopped tomatoes. Once this mix is well cooked, add salt, crushed black pepper, turmeric powder and one spoon sugar (optional). Let it cook for 5 minutes and yummy sabzi is ready. Salads are healthy, fun and easy to create. Combine any leafy base with something crunchy, something soft, some proteins and a dressing. There are plenty recipes and combinations involving beetroots. 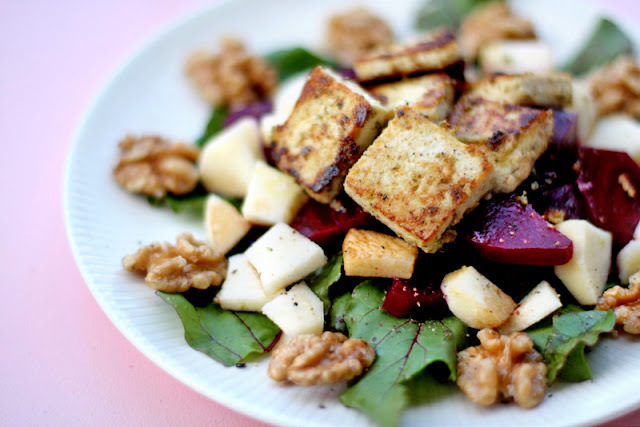 One such classic recipe is the ‘beetroot, feta cheese salad’. 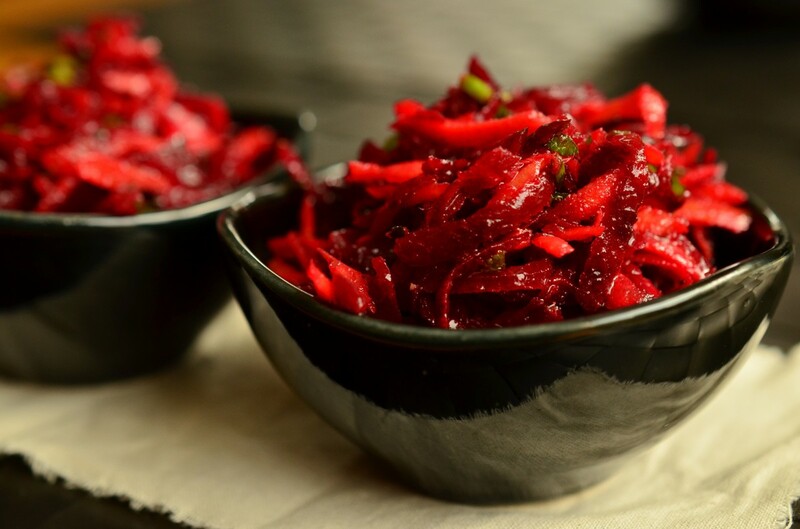 Boil about 4 beetroots for 15-20 minutes until they become soft enough to be pierced with a knife. Remove the skin and slice the beets into cubes. Combine these cubes with sliced feta cheese, any green of your choice (like lettuce, spinach, kale, chard, rocket leaves) some parsley and mint leaves. Drizzle some lemon vinaigrette and olive oil over this and mix gently. Hummus is without a doubt one of the tastiest dips we can treat ourselves with. With its roots from the Middle East, Hummus is extremely popular world over. Though Hummus is now easily available in supermarkets in different flavors, it can be made at home too without much effort. The preparation is simple and fuss free; making it a great option to be served at parties and get-togethers. Boil some beetroot till it becomes easily penetrable by a fork or knife. Combine 1 cup of boiled and drained chickpeas, 2 cloves of garlic, 2 tablespoons of tahini, some lemon juice, salt, pepper, olive oil and the boiled beetroot. 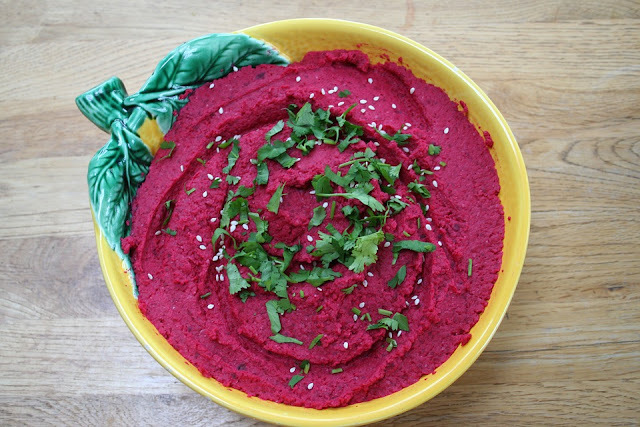 Blend it well in the food processor and the beetroot hummus is ready. Serve on a platter with some pita bread, sliced cucumbers and carrots. This juice works very effectively in boosting stamina and improving hair and skin health. The richness of Vitamin C helps in reducing blemishes and the potassium content aids in prevention of hair loss. 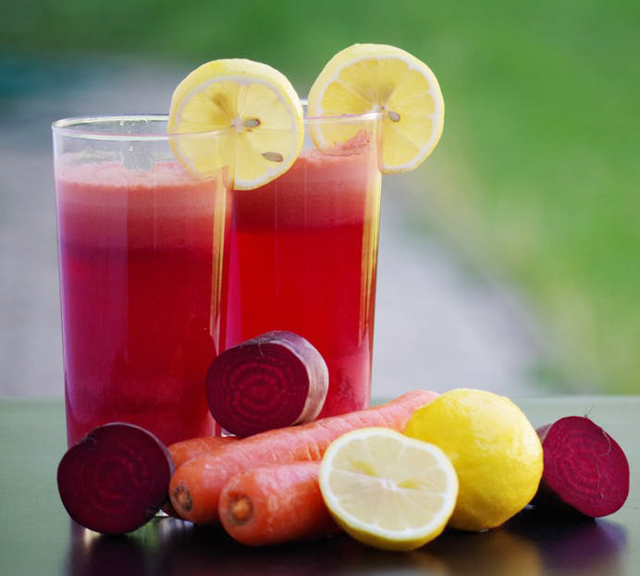 Drinking beet juice may also help lower blood pressure. Peel and cut 1 beetroot and carrot. Cut one apple and some celery into long pieces. Combine all of them in the juicer and turn it on. Serve in a chilled glass and consume immediately. Adding some lemon juice over the mix is optional. Indians love their chutneys and there’s a version of it with beetroots too. Heat some oil in a pan. Add cumin seeds, some yellow dal, green chilies, red chilies, curry leaves, ginger and garlic and fry a bit. Add some roughly grated beetroot and sauté for a few minutes. When the mixture cools down, grind it in a blender. Add some lemon juice and blend once again. Beetroot chutney is ready. 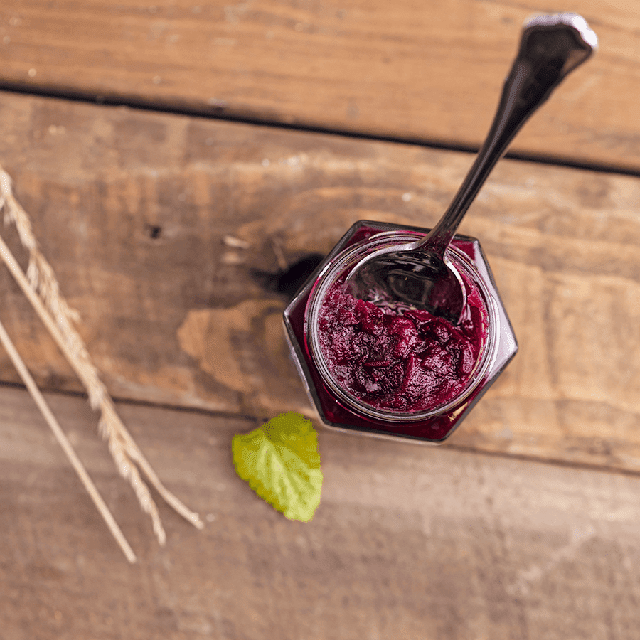 Treat yourself to a healthy, cool beetroot smoothie for some instant rejuvenation. In a blender puree one beetroot. Add some blueberries, a cup of low fat yogurt, one teaspoon honey and blend again. 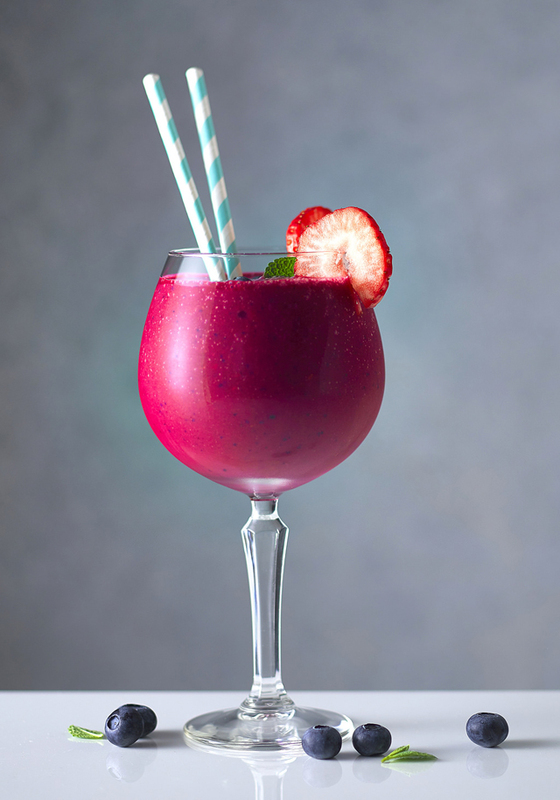 You can add a sliced orange or strawberry for garnishing to this lovely looking smoothie.